It is calving season on the ranch, which means there is an on-duty horse. We keep a few horses in the corral so we can use them to work the heifers. 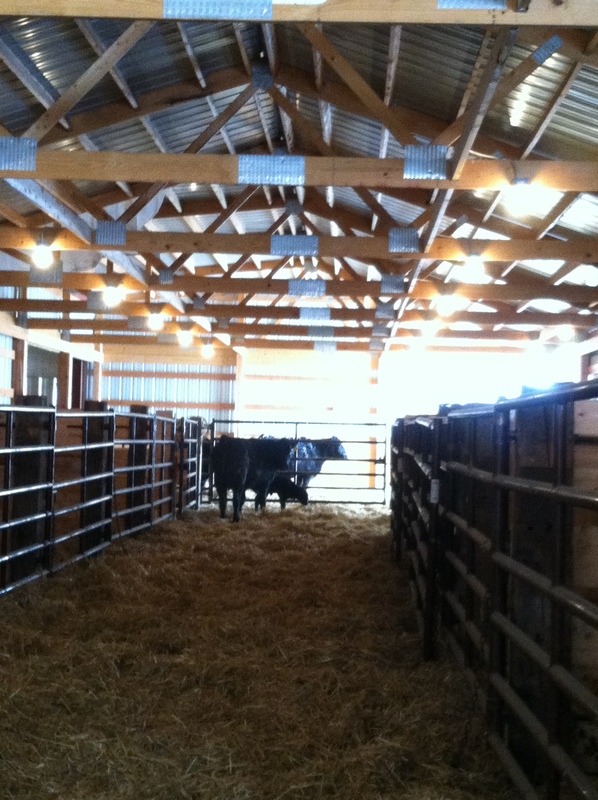 The heifers get turned out in the morning, and then pushed back into the corral at night. This is easiest if done from the back of a horse. Also, my husband will often keep a horse saddled in the alley, waiting till it’s needed to pull a calf into the barn with the calf-sled. 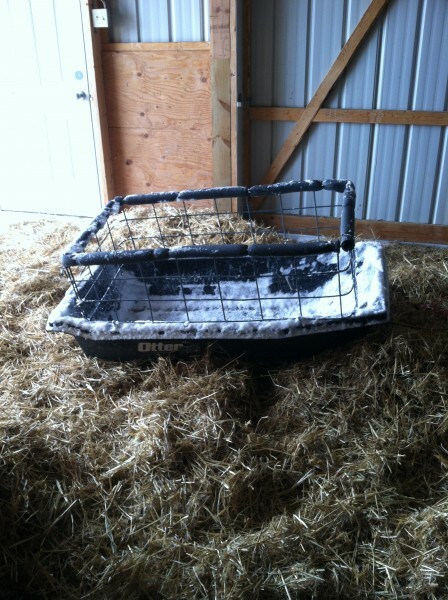 This makes it easier on the guys, and is good practice for the horses. Recently my husband was keeping his colt saddled and ‘on-call’ along with his older horse. 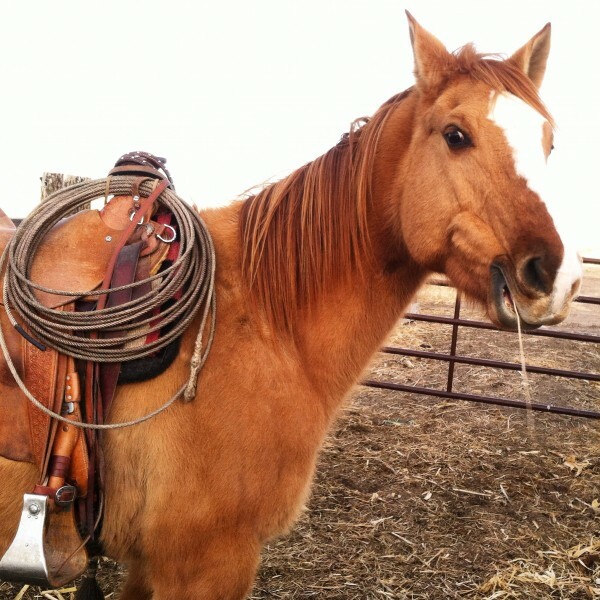 This gave the colt some exposure to cattle, people, commotion, etc. But the colt had a buddy to help keep him calm. Every experience of this type is great for getting a colt more relaxed. 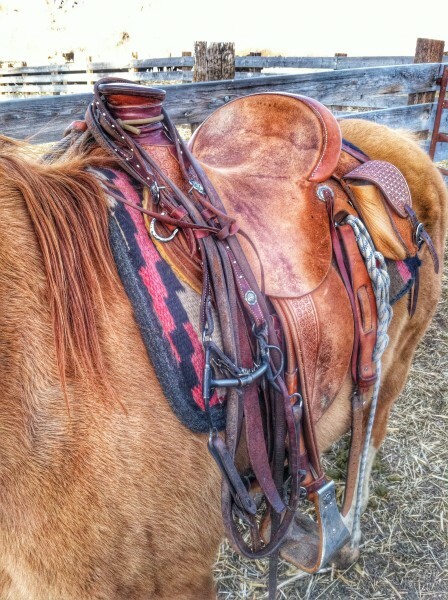 Typically, my husband leaves the horses saddled, but takes off the bridle. They are penned in a small section of the alley, able to move around a bit, but not run off. This way they are easy to catch and use quickly. 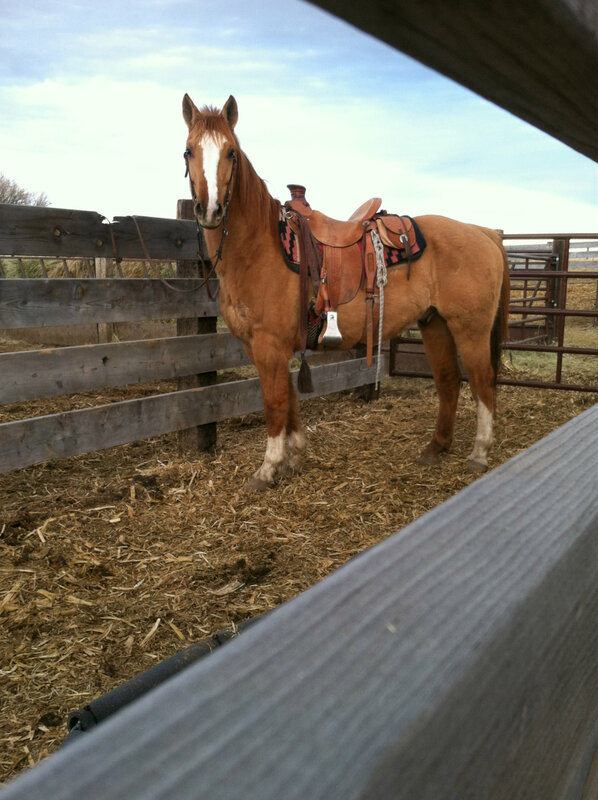 It is so much better to be on the back of a horse when working high-headed heifers… They respect the on-duty horse!